Wriggle your way up to The Golden Lion and prepare to indulge in the seriously decadent extravaganza that is Ale Seitan! That’s right, it’s the one and only Pie Baby Vegan Sunday Roast Club. 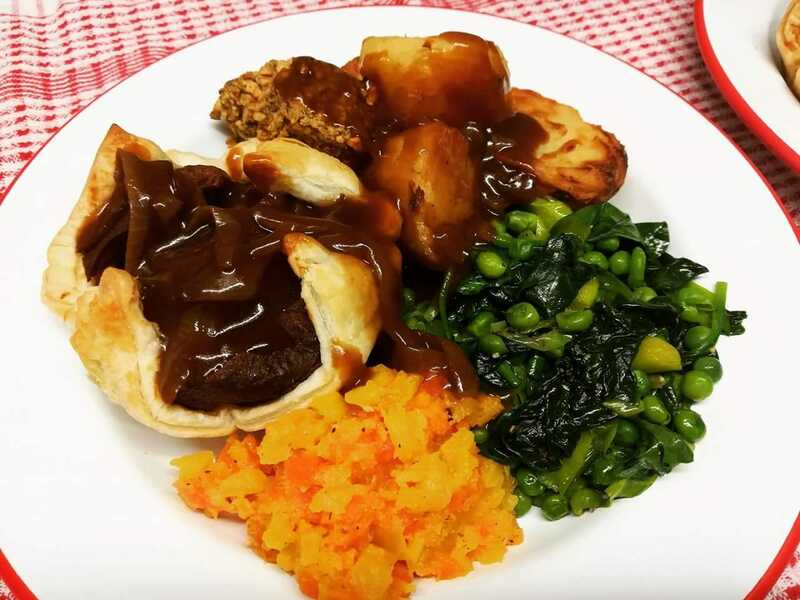 With this Wriggle, then, you’ll be enjoying a fantastic two course vegan Sunday roast, all paying homage to that most wonderful of British dishes: the pie. For your main course, you’ll be digging into the Ale Seitan roast dinner pie– yes, you read that right: a roast dinner pie.